So last week, I got to be a part of something pretty cool. I have met so many amazing friends blogging but I am very lucky to have some really cool blogging peeps that live right here in the Chicago area. One of those is MJ Tam. Not for long…..she is a mom, wife, blogger, the entrepreneur….the list goes on. 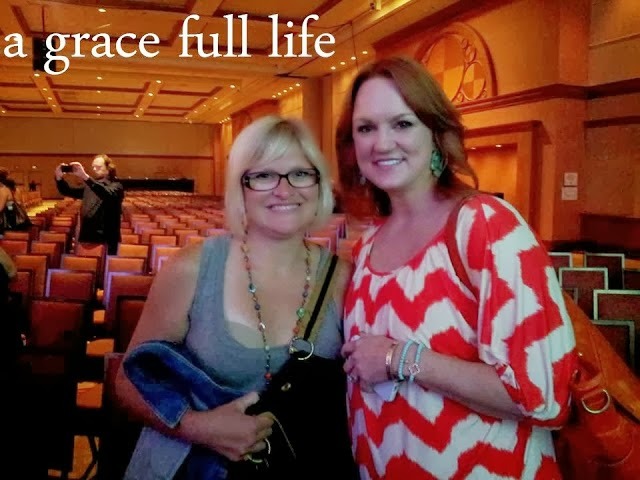 I got to meet her last December at a blogging event and loved her immediately. But I had no idea who she was until AFTER meeting her. I am sure I had food in my teeth and was talking about things like feminine products the whole time we sat next to each other. Because that would be just like me. To do/say inappropriate things in front of cool movers and shakers. So MJ and her friends Beth, Nancy, Duong and David in addition to writing a cool blog called Chicagonista, also run a Chicagonista LIVE show that is pretty amazing. If you live in the Chicago area, it is a great resource for anything from shopping, food, places to get drunk and the sort. You call them “bars” I call them “places to get drunk”. I got invited to a live taping recently and as excited as I was about being there, I was STOKED about where it was being held. Where there is vanilla, there are cookies. Nielsen Massey makes really amazing vanilla that is only carried in stores like Williams Sonoma, Whole Foods etc..
My mama loves this vanilla. So I love this vanilla. Because it reminds me of mom. Since I love to cook, love the smell of vanilla and love MJ Tam, it was decided that I will be there. I need to give props to my bestie Rebecca, aka Auntie Rebecca, for getting Ellie on the bus this day so I could attend. The major excitement for me was that I was able to do this during the school day so really, this was a stay at home mom field trip. When I got out of the car in the parking lot, it smelled like vanilla. The parking lot smelled like cookies baking. I think they were holding out on us. I am not gonna lie, I get giddy when I see TV cameras. I am not destined to be famous but something about those cameras and those lights makes my insides scream I AM READY FOR MY CLOSE UP!! So there was booze here. I am not a boozin’ it up during the day kinda girl. But I did drink this little drink and mayyyyyybe another teensy one later on. I felt like this must be what big people do during the day! North Shore Distillery provided these pretty pink big people drinks. THIS is what happens when you get 30 bloggers in a small room with a bakery chef. Bent Fork Bakery made these treats. The gingerbread cupcake with eggnog frosting? I am not making this up as I go along. There was also this chocolate ho ho like thing…I am not doing it justice by description but it was so good. I wanted to shove this entire plate in my purse. I might have if I hadn’t gotten stopped in my tracks by the factory tour. Because I love a factory tour. My bestie Jen and I on our way into the factory tour. 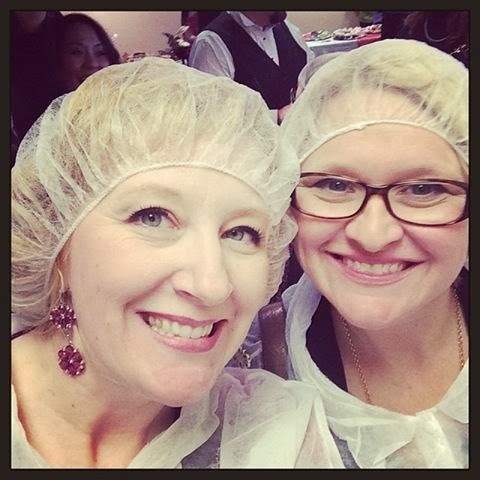 I am sure we are the only ones who posted pictures of us wearing hair nets all over social media. We TOTALLY should have worn those to Bethenny. I wanted to go home with all of the vanillas. Please send me home with all of the vanillas. Out of the blue, as if by chance or kismet, my friend Erin posted the most amazing recipe on her blog! Instead of hot chocolate, think hot VANILLA. I can’t wait to make it with my Nielsen Massey vanilla!! That totally sounded like a plug, didn’t it? You could use any vanilla to make it. Heck, you could use ten different vanillas if you want to. It is tots up to you. But if you want it to taste amazing? Use the Nielsen Massey vanilla. Love the Ree picture (as always). And I love MJ and the ladies of Chicagonista too. I need you to come over and bake and Erin to come over and make me drinks. Ok? Best line: I wanted to put the whole plate in my purse. Awww. You're welcome! Glad you had fun!